Mission Statement: KCSO Family & Friends provides sports training and competition in a variety of Olympic-type sports for children and adults with disabilities by giving them continuing opportunities to develop physical fitness, demonstrate courage, experience joy, and participate in a sharing of gifts, skills and friendship with their families, other Special Olympics athletes and the community.We also provide various opportunities for our members to grow socially. 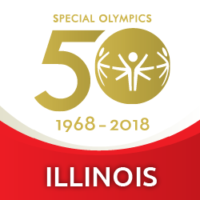 Special Olympics training and competition is open to every person with a disability who is at least eight years of age and who registers to participate in Special Olympics. There is no maximum age limitation for participation. 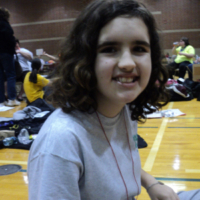 We have been serving athletes with special needs since 1970. We are proud of the fact that we are one of the few agencies in the state that has both school age and adult athletes. This is a blessing for both the parents and athletes; the parents get the support of people like themselves who have already been through what they are going through now and can help with things like SSI, PUNDS, guardianship, etc. and the athletes benefit by having a person like them to look up to. 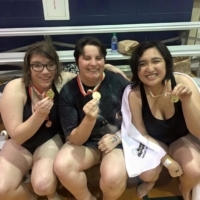 Our athletes compete in seven sports annually: Snowshoeing, Swimming, Track & Field, Golf, Power Lifting and Bowling. All sports follow the same basic pattern: registration, training and practices, area competition, and then regional and/or state competition. 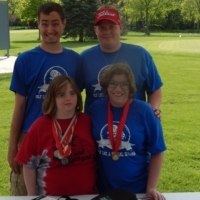 There are other Special Olympic providers in the area such as: Fox Valley Special Recreation Association and Districts 308 and 88. 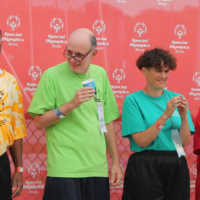 Athletes can participate all organizations. KCSO Family & Friends Executive Board is made up of thirteen representatives. 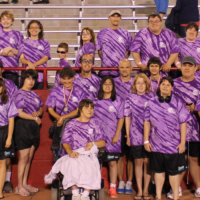 The board members consist of parent representatives, coaches, volunteers and an athlete representative. The Executive Board meets monthly session to discuss the operational matters relating to our organization. 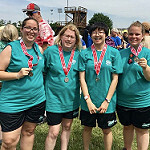 They oversee the management and organization of the sub-committees, fundraising events, sporting event planning, competition event planning, budgetary and other areas of business as they arise. Board members devote an extensive amount of their time to ensure that all operations run smoothly and effectively.